Leveraging on the vast industry experience, we are also engaged in manufacturing and supplying Special Type Inductive Proximity Switches. All these switches are basically used by the customers for applications where a metallic target has to be sensed. 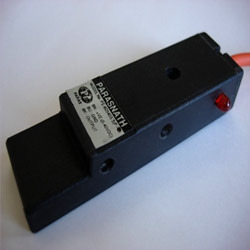 The inductive switches we are offering are manufactured in compliance with international standards and guidelines. These products are manufactured by using modern technology and high-grade material obtained from the vendors of repute. Abiding by the ethical norms of the industry, we are also engaged in manufacturing, supplying and exporting superior quality C-2 Proximity Sensor. All these C-2 proximity sensors are developed in strict accordance with the international quality standards using superior grade raw material, advent tools and sophisticated technologies. Before the final delivery of the products, our quality experts examine them on varied testing parameters to assure a defect free and flawless range. With firm commitment to quality, we are manufacturing and supplying a comprehensive range of Inductive Proximity Switches. The switches we are offering are manufactured under the guidance of experienced professionals, who strictly follow the norms already laid by the industry. To offer high quality products to our clients based across the region, our professionals make use of quality-approved material to manufacture these inductive switches. 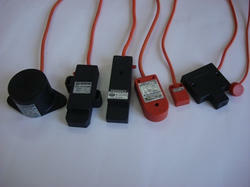 We also offer these switches in customized range as per the requirement of the clients. Application MANY TYPE OF APPLICATION USED . We have established ourselves as a renowned organization engaged in manufacturing and supplying Inductive Proximity Switches. Offered range of switches are highly appreciated by the customers for their quality standard and exceptional performance. These switches are manufactured under the strict supervision of experts, who make use of quality-approved material and latest technology. All these switches are tested on variegated parameters of quality, before delivering to the customers. With an objective to fulfill the demand of the patrons, we are also engaged in developing and supplying Inductive Proximity Sensor. 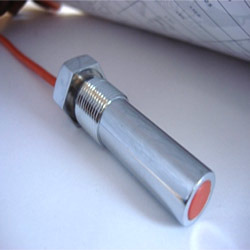 The sensors we are offering are manufactured under the guidance of experienced professionals, who strictly follow the norms already laid by the industry. In addition to this, our professionals also supervise the production at every level, so as to develop qualitative sensors and remove defects, if any. 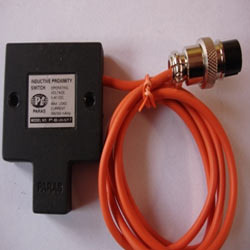 Application:-Inductive Proximity Switch are mainly used inTextile,Automobile, Machine Tool,Cement, Packaging,Pharma, food processing industries etc.